More 4 Mom: Mother's Day giveaway event - everything for a weekend getaway, giveaway! Mother's Day giveaway event - everything for a weekend getaway, giveaway! What does More 4 Mom's Buck have in store for you? A huge prize package that will give mom everything she needs for a weekend getaway. Second prize is a prize package from Crunchy N. Yummy. 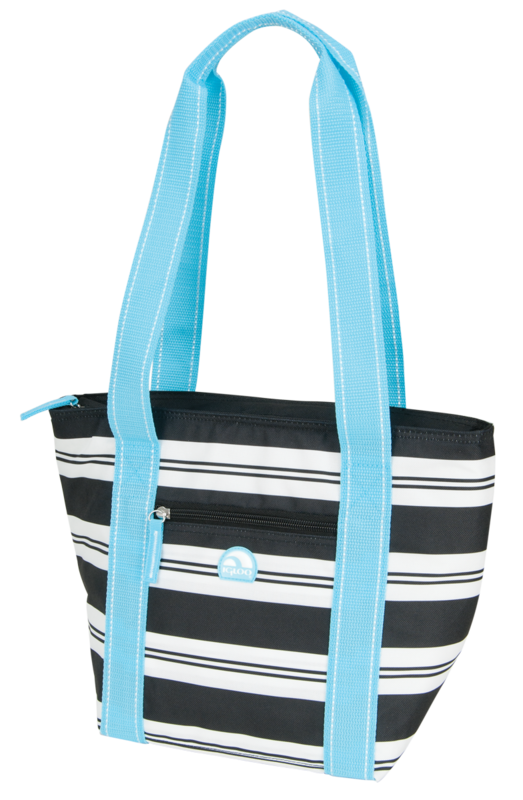 Third prize is a Cooler Tote from Igloo. I'm going to take my kids to go get pedicures =o) They love it! I'm not sure yet! I think just spen time with my girls:) And of course I'll be calling my Mother and Grandmother! Thanks! Working! But at least I am working with my MOMMY!! No plans yet, but hopefully it will be outside if weather is nice! We go camping every year for mother's day! Church for Mom's Day, but we will be celebrating with family on Saturday. Dinner and fellowship! My kids and husband will make me breakfast in bed. They always do. Then church and I guess a lazy day after. Looking forward to a trip to Chicago. They always let me sleep late, Hubby makes breakfast, and we have dinner at my fave Chinese food restaurant. We'll be at home, but all the kids and grandkids will be here, so it should be a fun day! I'm hoping my kids will cook me a nice breakfast! We usually don't really do anything on Mother's day so hopefully this year we will do something fun! I will be spending mothers day with my mom and mother in law! I will be at my mom's house spending time with family. My family of 4 is taking my Mom to brunch. I believe we are all going out to eat together. We are going to brunch. My husband might cook for me and maybe visit my mom and mother in law. I'll just be staying home with the fam. Too crazy busy to go out anywhere! We are going out to lunch with the family. Nothing... My family is tiny and we dont really celebrate. Unfortunately I won't be going to see my mom. Coincidentally I'll be going to trapeze class on Sunday. Not really sure what we are doing for mothers day yet. Having dinner with my mom and my daughter. I'm going to church, then having a supper that my husband cooks for me. Thanks. I will spend some time on Mother's Day visiting with my mother and then we will go by my husband's mother's grave site to remember her, too. Taking my mom out for brunch! I'm hoping to get some extra sleep! im taking my mom out for dinner!! I spent time with my kids over at mom's house. We had a great time and lunch! I took my mom to brunch. I hung out with my Mom. We went to the mall and then out to eat! I spent two days cooking, as a mommy of two myself. I did all the cooking so my mother sister grandmother and friend (who is like a mom to me) could relax and enjoy. We boiled crawfish and played ladderball! We visited with some family that were in town and had lunch out. Other than that, stayed home and got some housework done. I entered contests and relaxed! We just spent the day outside together! I went to the movies with my husband! Nothing. I did nothing. Oh, I did go to the grocery store to get the ingredients to make a nice dinner ... that I cooked myself. I went to a fabulous dinner out. We went to church, out to lunch, and hung out outside. We had a picnic at the park! I planted flowers with my kids. I spent the day with my entire family. We had bbq at my mother-in-law! Didn't do a lot, sat around and played on the computer mostly. Went to church, then rested most of the day! My son and DIL took me out for lunch. We hung at home and played games, had nice meals etc. Time together was what I asked for (plus, my birthday was the next day and that was our out day). I spent Mother's Day at my son's college graduation! Best Mother's Day ever! Relaxing and letting my husband do my job for a day! We had a bbq and it was lots of fun! This Mother's Day we had a barbecue for my mum at my sister's house. Thanks for the giveaway. We went shopping for things for our new home.